As The Brooklyn Grove continues to rise in Brooklyn’s buzzing Downtown metro-center, new renderings reveal both interiors and exteriors of the forthcoming residential tower. 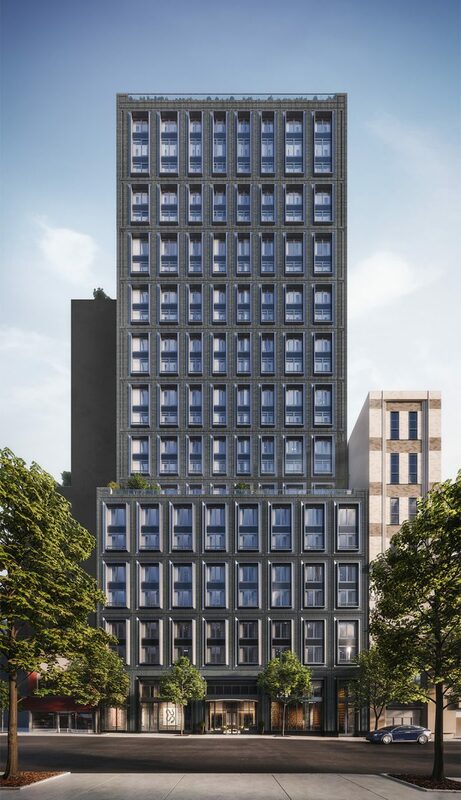 Located at 10 Nevins Street in Downtown Brooklyn, the structure will rise 27 stories and comprise 184 condominiums that range in size from studios to three-bedrooms. 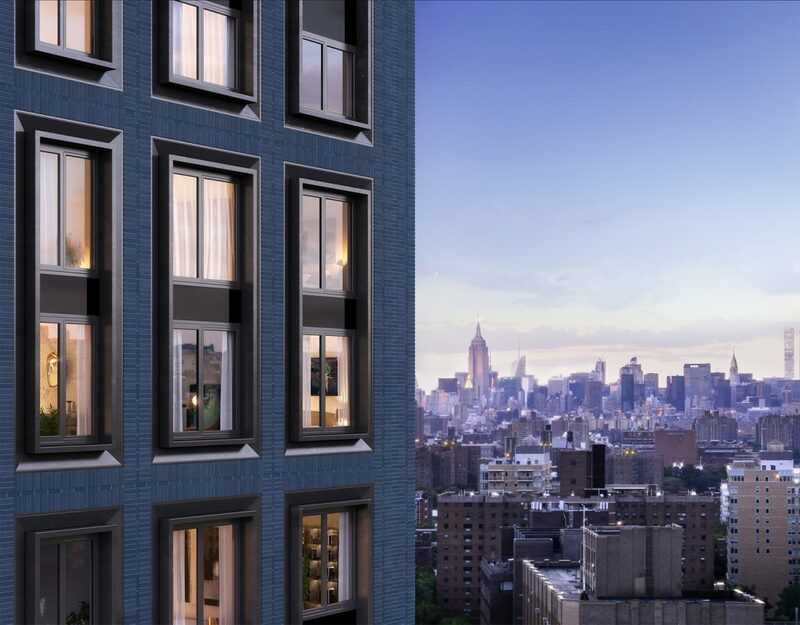 Designed in a collaboration between the New York offices of ODA Architecture and Stephen B. Jacobs Group, condominiums are expected to start at $590,000, and will range up to $2.5 million. 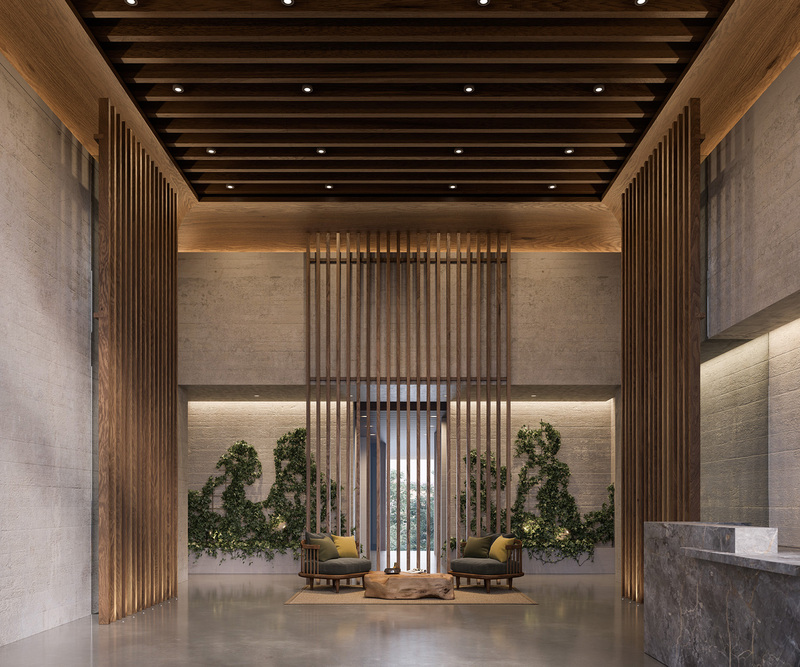 Residents will have access to an expansive set of amenities including aquatic, fitness, and entertainment areas, as well as a roofdeck, pet spa, and children’s playroom. When developers Adam America Real Estate, Slate Property Group, and Vanke Co. closed on purchasing the assemblage in 2015, a 33-story, 150-unit building was expected. While the project’s floor count has since been reduced, The Brooklyn Grove will still offer a sleek, new form to the borough’s burgeoning skyline profile. Completion is expected in 2019. 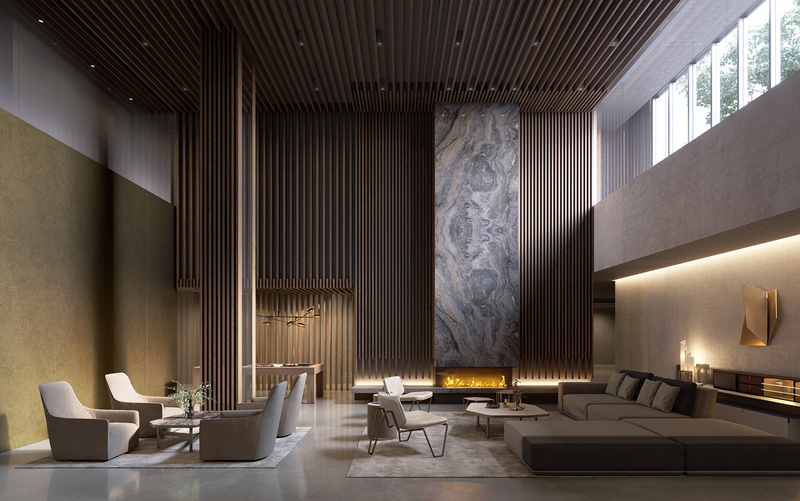 4 Comments on "Updated Renderings Revealed for The Brooklyn Grove in Downtown Brooklyn"
Please pardon me for using your space: Set of renderings so beautiful, especially interior. False advertising. This development is smack in the middle of downtown Bk. I’m counting 24 floors, not 27. Building is ordinary, like those who are on 3rd Avenue in Manhattan NoHo. Only difference these towers just 21 floors and in glass. Most of the new high-rises in Brooklyn don’t try to make some empty fashion statement. They are solid, timelessly designed buildings with a mixture of materials and colors adding texture from building to building. Manhattan just gets more mirrored boxes.